Partner – Teach me your Dance! Teach Me Your Dance is a Youth Exchange Organized by the italian cultural association Componibile62. The name is driven from Julio Cortazar’s book, which is made up of 62 folders. Each of these folders represents a singular semantic element in interdependent relationship with each other. The book specificity is that whatever position folders take, they always make sense. In the same way, the association works in constant and fruitful cooperation with all parts and components. Viaje a la Sostenibilidad is an independent, environmentalist and social organisation based in Zaragoza. Our main objective is to empower young people to engage in a making society more sustainable. We promote cultural exchange and mutual understanding between young people and local youth participants. We organise awarenessrising actions with talks, meetings and graphic materials. We have a great network of local contacts related to sustainaibilty and youth, but we are commited to establish an international network about bio-construction, permaculture and green economy. 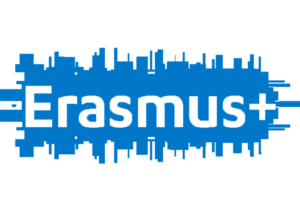 We are incresingly involved in Youth in Action and Erasmus Plus programme and we are commited to promote meaningful projects. 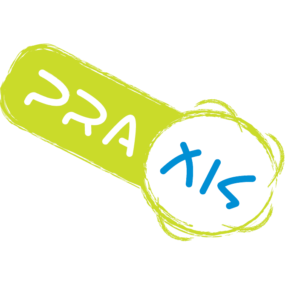 PRAXIS is a non-governmental and non- profitmaking cultural organisation in Serres . It was founded in 1995 in order to offer a broad spectrum of cultural activities to the town youth and involve them in cultural issues. Most of the people working for PRAXIS do it voluntarily . Where is PRAXIS? PRAXIS has its main office with the radio station in the centre of Serres in the town live about 80 000 inhabitants . Because of the Technological Education Institute there is a high number of students living in Serres. – To provide assistance to young people in perfecting their skills, obtaining knowledge and increasing qualification. – To provide oportunities for young people to share their opinions and implement joint acitvities with the European youth. – To ensure the participation of young people in the initiatives of the European Union. – To promote understanding of European cultural diversity. Onestin Youth Association was created in 2005 in Onesti City – Romania. We have well over 250 members ranging between 14 and 35 years age from different social backgrounds. 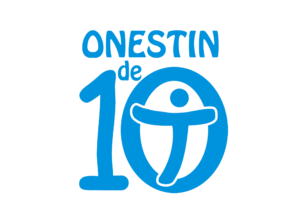 The members of Onestin Youth Association have established themselves as a NGO interested in promoting youth activities, which are aimed at achieving better inter-human communication and relationships through development and involvement in social and cultural projects at local, national and international scale, for better knowledge, preservation and promotion of moral and cultural values. Throughout the lifespan of our NGO we have developed and maintained a series of different youth activities, the main ones being: music, theater, communication and media, European projects, social and human rights, traditional culture, non-formal education, youth policies, training and so on. In 2013, one of Onestin’s projects was named by European Commission “the best youth project in Romania, financed by Youth in Action”. Onestin Brasov, is a subsidiary of “big” Onestin, placed in a magic mountain city – Brasov. The new organization is replicating most of activities developed in Onesti, with students from Brasov. We organized a training course about how to write an Youth in Action project, coaching meetings with youth entrepreneurs, social activities with autistic children, voluntary activities in Brasov with our youth and in this moment we have 28 members (most of them students born in Onesti City). Express Yourself organization was established in 21/08/2013. Idea of organization creation was born during own project participant experience that showed us that there is not enough information in our society of young people about availability to learn, understand a develop in non-governmental sphere. Main focuses of organization are youth employment, awareness raise of society of cultural issues in other countries by that way raise harmony between countries, cultures and religions in globalization period, encouraging young people to get involved in labour market as employers(by raising their knowledge of business as well as their self confidence). We also work with children that have experienced violence in family or are coming from disfunctional families and integrate persons into society by providing them possibilities to participate in projects and build their new values of life which are based on their positive experiences. We provide support to young people in communication with state institutions, EU institutions and also in their beginnings of employment or being and businessman. Organization is also providing consultations on accounting issues to society. Contact channels for youth experience gaining and professional trainings have been build up with lots of NGO`s across Europe as well as with neighbour countries which provides gives our organization possibility to give high quality support to society.